There have been invented many different style bikes for different purposes and all of the models are differently created to be compatible for riding in different terrains. Literally the fixed bikes are such kind of bikes that looks like a road bike, but simply different than a road bike in mechanism. 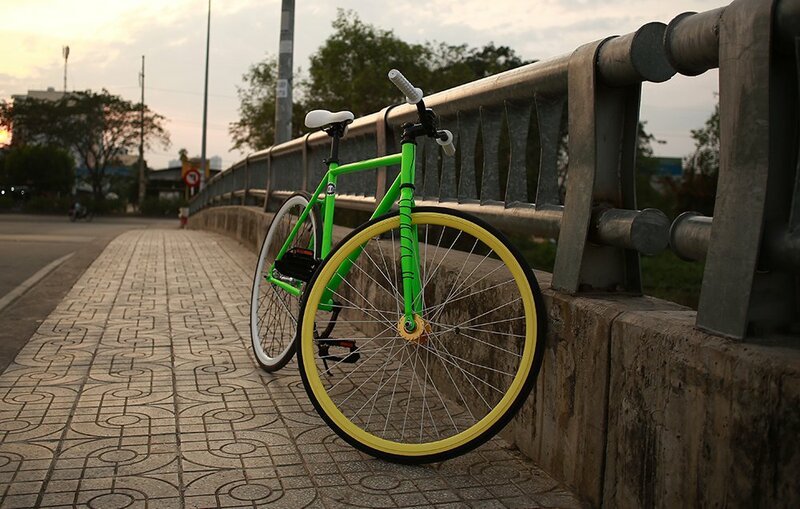 These bikes actually come with a brake in front wheel and in some cases on both wheels (recently some bikes also use coaster brake) while the rear wheel is equipped with a flip flop hub to be used the bike as a fixed gear or sometimes as a single speed. Actually, when your bike in a fixed gear mood, everything comes in under the control of your pedaling. Because the paddle stays moving with the movement of rear wheel, so when you want to stop the bike, you can use the paddle as a rear brake. But if you turn the bike in single speed it can be easier for you if you are comfortable with multi speed bikes. In truth, these fixed gear bikes have become very popular in today’s decade. People feel very comfortable to commute with these bikes. Because, these bikes are great to control when you ride and the people who are not very comfortable to ride a bike by operating the gears, they can like these bikes a lot. On the other hand, you don’t have to be an efficient level rider to enjoy the freestyle ride in the streets with a fixed bike. So overall if you are such a person who feels comfortable to ride a fixed gear bike or want such a bike, then here a few requirements to follow before choosing a fixie bike. The size always a matter of any kind of bike you like. Because whether you choose a bigger or smaller size, both would be uncomfortable for you. You have to choose such a perfect size that actually makes you comfortable. A perfect size bike would give you the feeling like you are pedaling the bike from a comfort zone while an imperfect size would be harmful for your body and it wouldn’t give you any health advantages. So rather than finding the tricks of measuring the perfect size I would rather believe in this list. It’s a common requirement, but sometimes the durability varies with the type of materials the bike used to be composed. I would believe in high tensile steel, chromoly steel, tig welded steel, aluminum alloy and of course carbon fiber. Although most of the fixed bikes use high tensile steel, chromoly steel and aluminum alloy (it would be expensive). The high tensile steel and chromoly steel are good, but the cons is it makes a bike heavier in weight while the aluminum alloy not only makes a bike durable, but also makes it lightweight. On the other hand, the carbon fiber bikes are really expensive and if you choose a carbon fiber frame based fixed gear bike, it would exceed your budget limit. Out of the frame of the bike, the other components also determine the value of a fixed bike. You can’t avoid having a pair of quality wheelsets on your bike with a pair of durable tires. You shouldn’t go for the wheelsets that can be corroded and the tires that can’t give the traction on the road. As well, you shouldn’t go for such paddles that need to be replaced in the matter of a few months. Literally getting these components in a quality level would keep you away from the replacements after using a few of months. Like other bikes the fixed gear bikes also not comes in the same design, till now the manufacturers introduced lots of different designs of the fixie bikes. So you should choose the one that you like from your heart. Because we ride as the part of our passion, so choosing the perfect bike and riding it in the street would add some great feelings to your ride.